Line Magnetic 518ia integrated amplifier. North American premiere review! $4500 USD. Roughly $5000 CAN in 2014, depending on exchange rate. Components used in this review: Marantz CD 5003 as transport; Apple Lossless and AIFF streamed to DAC via Apple TV / Toslink; Audiolab M-DAC; Musical Paradise D-1 DAC; Resonessence Mirus DAC (on review); Marantz SA-8003 SACD player; Pro-Ject RPM 10.1 with Dynavector 10×5 using Graham Slee Era Gold Mark V and Musical Surroundings Nova II phono preamps; Harbeth Compact 7ES3; Tekton M-Lore speakers. Cables by DH Labs, Kimber. Have you ever been tempted by the mighty 845 power tube? It was created by RCA in 1931 for AM radio transmission but by the 1960s the tube had fallen into desuetude. During the 1980s, Asian and European audiophiles rediscovered the 845, and Audio Note built very expensive amps with the closely related 211 tube. Current producers in North America are few and far between, and you’ll need at least three thousand more dollars to buy new North American-made 845 integrated amps or mono blocks. And frankly none of them looks like the Line Magnetic 518ia. It is a minor work of art. It will fit right into the hippest metrosexual condos. Alas, it resides in my designed-by-a-lumberjack, rough-around-the-edges clutter of a mancave. Do any 6moons writers moonlight as extreme makeover interior designers, by chance?! Some listening rooms overlook Lake Geneva; this one sits on the Canadian Shield. (Makes for good turntable isolation, btw). Line Magnetic 518ia, on the right. Note the custom bass trap in top right corner. As I was saying…for the past month, I’ve been trippin’ on the fantastic Line Magnetic 518ia. I had seen good but brief write-ups of the amp in reports from audio shows over the past two years where the amp has been paired with DeVore Fidelity speakers. When I read Richard Austen’s rave review on dagogo.com of the 518ia’s 120 pound big brother, the 219ia, I determined that I must hear this amp. Although the amp and the other LM products including their tubed DAC were selling well in Hong Kong and China, there appeared to be no reviews of the 518ia yet in North America. I took delivery of a Line Magnetic 518ia from Coup de Foudre Audio in Montreal, a leading store that carries Shindo, Leben, Luxman, Vivid, Wilson…you get the picture. Could the LM be in the same league? I believe it is. What was I hoping to hear? Power and finesse. Warm single ended triode tone with low bass and high headroom. The best of both worlds. Did I get my wish? OMG yes! This amp has found a permanent home. What’s the secret sauce? Those 845 power tubes, of course. The king of the valves. SET magic coupled with an iron fist. The ability to drive all loudspeakers except planars to deafening levels. The 845 is not for the faint of heart, those weak in the back, nor those light of wallet. A good 845 or 211 amp is going to be unusually heavy due to the massive power transformer and output transformers required. This drives up costs. 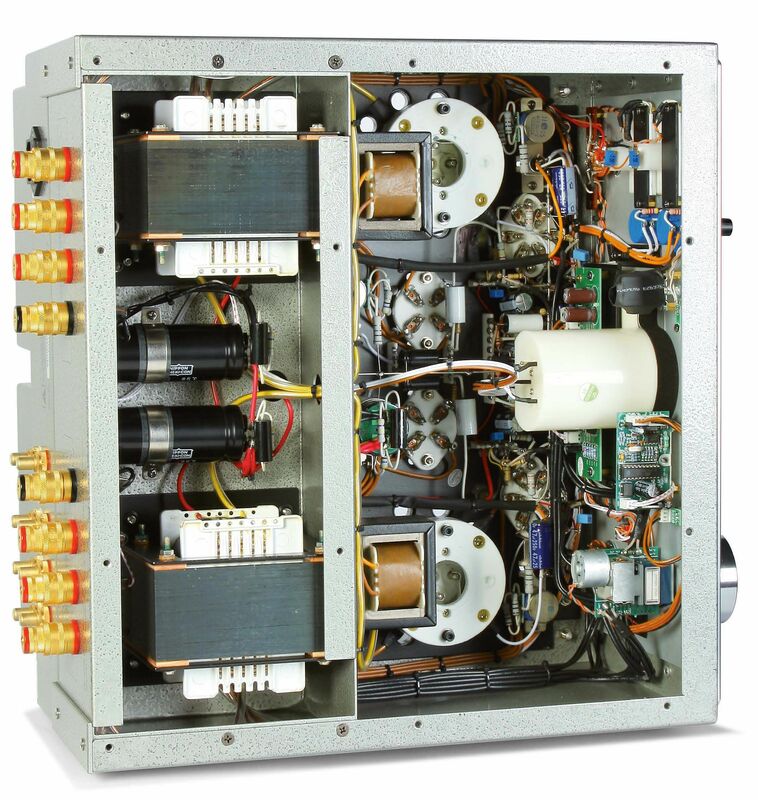 Do not be tempted to buy a 50 to 60 pound, $1000 845 amp over Ebay from China; they are invariably under-engineered with inadequate power and output transformers; they suffer from iron deficiency. The LM 518ia was attractive to me because, at just under 80 pounds, it sits at the upper end of my comfort zone for lifting. This amp’s output is a modest 22 watts; to get a more typical 24 to 25 watts from two 845 tubes, you need heavier iron. Think 90 to 110 pounds. No thanks. I was also interested because the 518ia can use two of my favorite tubes, the 6L6/EL34, as drivers. In fact, you can use everything from 6V6 to KT88. Every amp I have heard with such a topology seemed to have a bit of extra oomph and muscularity in the midrange. To top it off, the LM uses the 12ax7 as preamp tube. Tube rolling options are numerous! A bit more bite and bass? Roll the Tungsrams. Warmth? Opt for Mullard or TJ Full Music. Line Magnetic is imported by Jonathan Halpern of Tone Audio. Tone also distributes Leben, Shindo, and EMT cartridges. In other words, nothing but the best. The LM line is the brainchild of two brothers in China who grew up enamored with the Western Electric sound. Click on the link at the opening of this review to gaze at their remarkable product line. This is a unique company making vintage replicas as well as new kit. Coup de Foudre Audio tells me that quality control is very high: they have had no duds. As a point-to-point wired amp, repairs should be easy and any good technician should be up to the job. The LM has the sort of build quality you would expect if Primaluna made an 845-based amp. A golden amp with a golden tone. The majestic 845 tube. Shuguang Black Treasure 6CA7 (EL34) at back. But it sounds so much more dynamic than the Primaluna and every other tube amp that has resided in my listening room. Within minutes of firing up the imposing 845 tubes on this gorgeously crafted amp, I was overjoyed and overcome by a peaceful easy feeling. Well, not entirely: this beautiful beast weighs almost 80 pounds. My achy breaky back was in spasm; the provinces of my limbs were revolting. But the sweet tone of Grant Green’s guitar, on “My Funny Valentine” was captivating and it offered ample recompense (“Grantstand,” SACD, Analogue Productions CBNJ 84085 SA). Never before had Green sounded so immediate, so present. Yusef Lateef’s flute was all aflutter and Jack McDuff’s organ was grinding, whirling and swirling in the back of the massive soundstage. Hearing the pure, sweet, but visceral punch of Green’s guitar sold me on the spot. This is it. This is what I have been searching for. This is the amp for me. Make sure you get help lifting this amp out of the box–as I did–but be doubly careful when you place it on your rack because that’s when you are likely to torque your spine. Speaking of my rack, before I took delivery of the amp, I cut a piece of ¾ inch plywood to place on top of my thinner shelf on my Target equipment rack. Previously a 55 pound amp had caused some sag. This DIY solution did the trick and it probably helps the sound too. So how did it sound, as I spun another Analogue Productions SACD, Herbie Hancock’s “Maiden Voyage,” a notoriously bright recording but oh so suitably named? Like a smooth but powerful stream. This is simply the best amplifier I have ever had in my house. It has no obvious faults. It can rock with techno and Euro-pop like Aqua and Vengaboys and it can capture the tone of Dan Gellert’s gourd banjo. To my ears, it beats a $10,000 Naim system I once owned (200/202/HiCap2/NAPSC). It beats the amazing Naim Supernait 2 I have on review at this moment. To my ears, it beats a dozen tube amps that have preceded it (Almarro, Decware, Musical Paradise, Primaluna, etc). It handily beats a single-ended First Watt M2. And it beats an Audio Research LS17 paired with Odyssey Audio Khartago SE Extreme monoblocks or with Wyred4Sound SX-1000 monos. These are all great products and I have loved (and love) each and every one of them equally, like children, even as I expelled some of them from my house. At the end of the day, I am after tone. The Line Magnetic nails the tone. This amp blooms. It sends saxophones soaring across the room. Images jump out of the soundstage with an elastic force, like Jim Carrey’s mask. With certain recordings it sounds like an Audio Research VSi55 integrated, which has a similar price. But it is sweeter and more resolving at the same time. It can find those faint harpsichord notes amidst a loud orchestra (as on Mario Bernardi’s recording of Handel’s Water Music with the CBC Vancouver Orchestra). It can keep pace with Jordi Savall’s blistering performance of the same music with Le Concert des Nations (Alia Vox AVSA 9860 SACD). The LM separates instruments and makes sense of highly complex, frantic music. It shines a clear spotlight when called upon. It digs low. Ron Carter’s bass on Jim Hall’s classic album, “Concierto,” is as good as it gets. The LM has thunderous power and can swing. Bass images are thick, not especially dry, but adequately so. Bass seems more lifelike and realistic than with the two solid state amps I used as comparisons: a Naim Supernait 2 (review forthcoming on www.wallofsound.ca) and Wyred4Sound SX-1000 mono blocks. I found this to be the case with a reference LP I use to evaluate systems, Art Farmer and Jim Hall’s “Big Blues” (CTI Records). This amp has got speed. It is so much faster than a typical EL34/6L6 tube amp, until now my favorite output tube family. It makes the ‘2a3 sound’ seem like a slow, syrupy approximation of music. The 845 can stop on a dime and then roar and rumble the floor. This is no sluggish 300b sugar dispenser, wobbling as it tries to walk a straight line on sour mash and cheap wine. No, this beast comports itself with a stiff spine but it can be supple and it can boogie with AC/DC. It can deliver tight, taut bass at low volumes. Many amps costing more cannot do that. Above all, the Line Magnetic 518ia takes the pluck of an acoustic guitar and turns the note inside out so that you see it from all sides. You feel the voice box of guitars. Guitars are sweet as a Georgia peach. They bloom; their tone soaks the room. With the LM you hear into the chest and throat of Sonny Rollins as he blows his tenor on “Moritat” (Saxophone Colossus, Analogue Productions LP). Kettle drums shake the floor. Double-bass jumps out towards my listening chair, ten feet from my speakers. 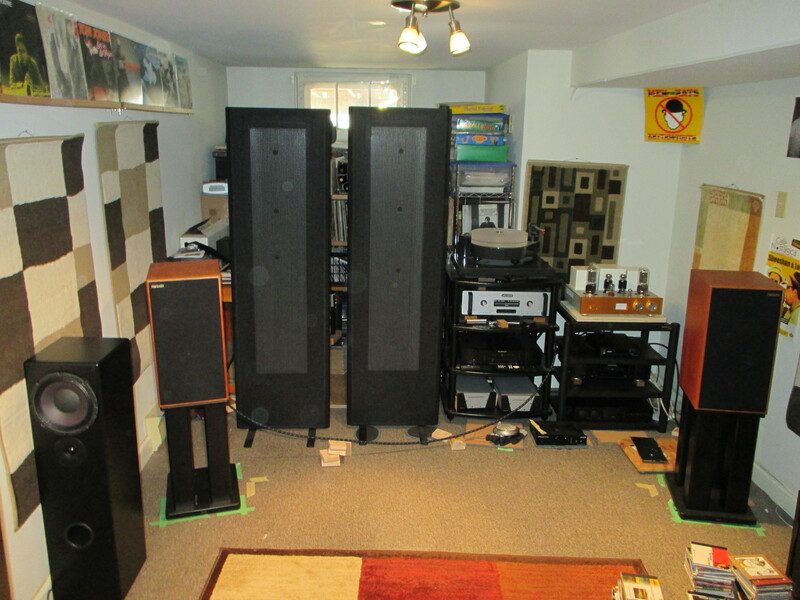 (I used Harbeth Compact 7 ES-3s and Tekton M-Lore speakers). The LM has a way of projecting a sense of air from wooden instruments that I have never experienced before in my listening room. Charlie Haden’s double bass on “You’ll Never Know” (Geri Allen, Charlie Haden and Paul Motian, “Segments” CD) is woody and resonant. One of the greatest compliments I can pay to this amp is that it makes my Harbeths and Tektons throw such a massive soundstage that I am almost tempted to question my need for my Magnepan 1.7s. I know that my Maggies need a bigger room. But no, Maggie may stay a little longer. 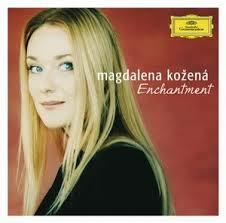 And Magdalena Kožená is welcome in my sound system any time! True, her beauty sells CDs. She has a face that could launch a thousand ships. But she may also be the world’s best mezzo-soprano. Certainly no one has done more to rescue Handel’s arias from relative obscurity. Her “Ah! 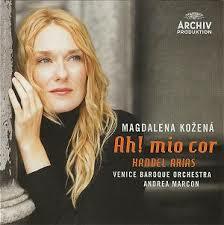 Mio Cor” CD (Archiv Produktion 4776547) is a brilliantly recorded masterpiece. The Venice Baroque Orchestra under Andrea Marcon’s direction serves as a powerful anchor and a lithe dancer to accompany Kožená’s soaring soprano. The LM follows Kožená as she pivots from lachrymose to bellicose in the blink of an ice blue eye. The LM tames Miles Davis’ shrill trumpet on “Mood” and “Iris” (E.S.P., Columbia Records, LP). The LM lifts Wayne Shorter’s sonorous sax up where it belongs. Tony Rice’s “Unit of Measure” CD is one of my ‘tone test’ reference discs. I have played this disc through Naim cd players, Marantz’s finest $7000k CD-SACD player, and half a dozen very good DACs including the renowned Audiolab M-DAC and Resonessence Labs Mirus. I have used Audio Research, Odyssey Audio, Wyred4Sound, First Watt, Primaluna amplification…. you name it. Only when I insert the LM into my system can I hear and feel the air being moved as Rice flat-picks and thumps on his famous eighty-year old guitar’s sound board. Chris Coole and Arnie Naiman are two of the world’s greatest Old Time clawhammer banjo players. And they live right here in Ontario. I took out my Gold Tone and hammered away a couple of notes. I spun the cd. Pretty close (the tone, not my ability, that is!). The cluck is right on. Next I grabbed my prized gourd banjo, made by Canada’s leading banjo-maker (and Old-Time musician), Teilhard Frost. 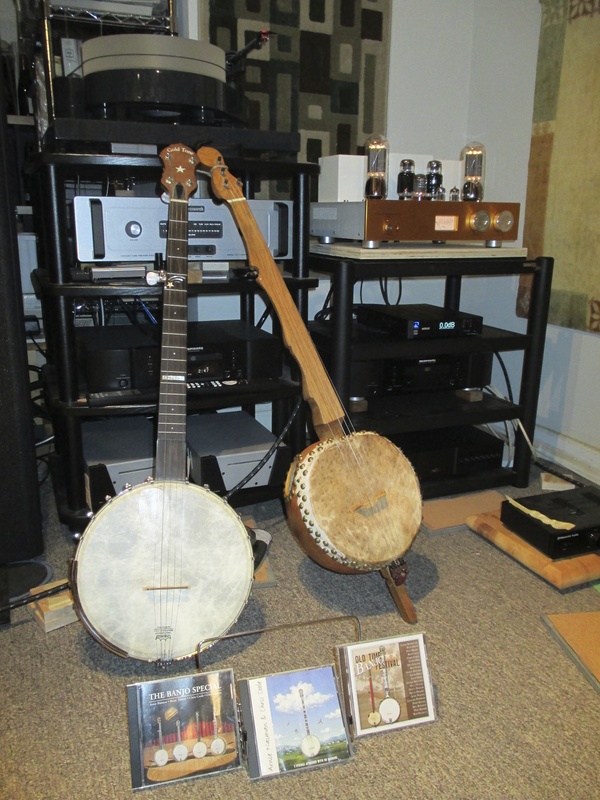 He made the gourd banjo that features on Erynn Marshall’s wonderful CD, “Calico.” Again, very close to the real thing. Gourd banjo made by Teilhard Frost (aka Sheesham Crow from the Old Time group Sheesham and Lotus). Sheesham hangs his hat on Wolfe Island, Kingston, Ontario. The LM sounded fantastic with the stock tubes, which are apparently Psvanes made to LM’s standards. After about 10 hours with the stock tubes, I replaced the 12ax7s with my favorite 12ax7, the TJ Full Music, which is a box plate modeled after vintage Mullards. This tube had taken Primaluna amps to a higher level and it made a slight improvement to the LM as well, adding a touch more warmth. I replaced the driver tubes with Shuguang Black Treasure 6CA7s and the sound became more punchy and powerful. I have so far left the stock 845 tubes and the stock 5ar4 rectifier. I see no reason at the moment to roll these tubes. If and when I do, I’ll post an update. [Update, August 2014: I recommend replacing the stock rectifier tube with NOS or a current production Mullard, Tung-Sol or Genalex. Also, Psvane 12ax7 Treasure Series mk2 are dead quiet, punchy and dynamic in this amp]. Tube biasing is simple: there is a built in meter. A little turn of a small screwdriver and presto, you’re done. It takes less than one minute. After a few hundred hours of play, the tubes have not moved at all from their proper bias point of 70 mva. There are 4, 8, and 16 ohm taps. There is also a hum adjuster for each channel, should you have hum from your speakers. I didn’t. The power transformer itself does hum a bit, but I don’t notice it a few feet away, and this is par for the course with many SET amps, including the Decware and Almarro amps I have owned. [Update, August 2014: An Emotiva CMX-2 for $99 eliminates the hum. Changing the rectifier does too]. The LM comes with an attractive aluminum remote control with just three buttons: volume up, volume down, and mute. The volume and source selector knobs are beautiful and they turn with the precision and confidence of a Naim volume control. There are three inputs, plus a preamp-in so you can use the 518ia as a power amp. I paired it with my Audio Research LS17 preamp. I got a tiny bit more detail, bass, and speed but I lost a bit of warmth too. 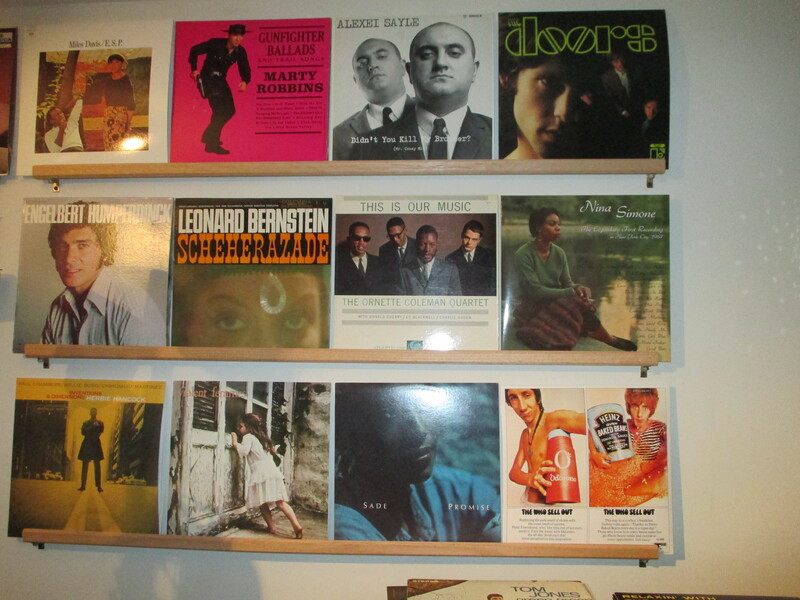 But it allowed me to add a couple more sources to the mix. Having a pre-in function makes this an unusually versatile amp, allowing for even more ‘rolling’ options. A tube cage comes with the LM but I haven’t used it. The Line Magnetic 518ia is a world-class amplifier for under $5000. It has power and drive far above and beyond its rated specs. I have never turned the volume dial past 11, and usually 9 o’clock suffices to rock the house. 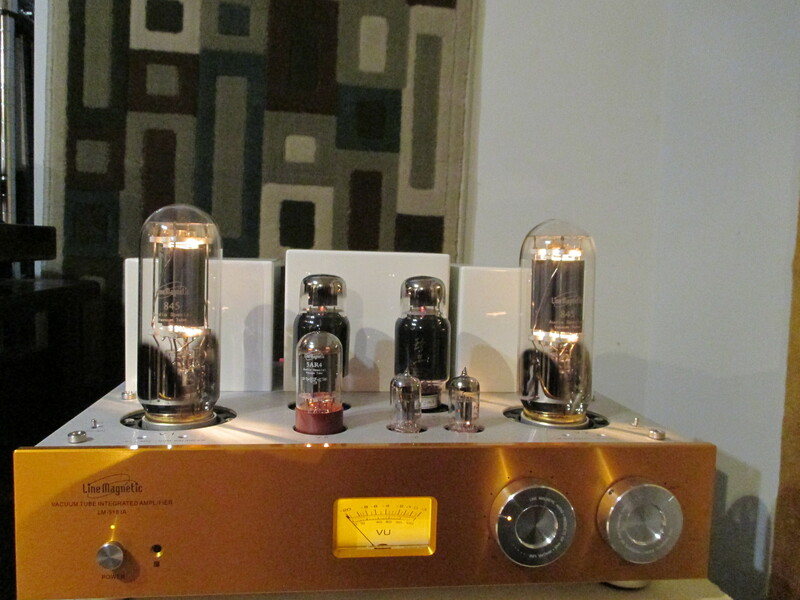 Sometimes you can have it all—tube warmth, golden tone, 3D imaging, with PrAT and solid state drive. The Line Magnetic 518ia earns a Wall of Sound Gold Star Award. This is a keeper. How would this amp work with PSB Platinum M2? Tim Smith does an excellent job reviewing equipment. On paper, the match looks fine. I’ll ping Tim about your question, he may be familiar with your PSB’s. Thank you for posting the comment. Hi Tim have you tried KT88’s in V3 and V4. I had a couple lying around and switched them in. It was like adding a subwoofer to my rig. Thank you for the review. Its a very detailed one! I bought the Line Magnetic LM -508IA amp, that its should be somehow (as I read on internet) a 518 upgraded version. Today I have the Yaqin MC -13S Push-Pull with upgraded valves and I find it very very nice! Detailed, smooth, big soundstage, very dark background, dynamic, bass controled, full bodied, etc. I Know the LM -508IA should beat it hands down, but I will like to hear your opinion about their differences considering you guys reviewed the Yaqin and the LM-518IA (the smaller brother of the 508 Im getting). Its also good to mention that I ordered the LM -508IA with upgraded valves (Shuguang WE and Black Treasures) and that I have a very revealing system. Looking to hear from you soon. Kind regards! Thanks for your question. I’ve heard a lot of chi-fi amps but not that particular Yaqin amp. I do like the Yaqin amps I have heard. The LM will likely beat the Yaqin in its reproduction of tonal density. It may also beat it in the bass department. It will almost certainly be a faster amp than the Yaqin. The LM blurs the line between tubes and solid state in several categories, speed / PRaT foremost among them. Good decision to upgrade the tubes. I loved having those Shuguang WEs in the house–amazing tubes. Thank you Tim for the answer! I’ll wait for the LM amp and I will post my impressions after listen to it for a while. Yes, I know that. Thank you for the warning! Tim, how does this amp compare to the Finale / Triode Labs amps you’ve reviewed? In particular the 829B? Faisal, it was me that reviewed the 829B. A very fine single-ended amp. I preferred it (slightly) over the 90w Copland. Thanks Noam. I was wondering what your preference were amongst the Finale and the LM? I reviewed the Finale and Tim reviewed (bought) the LM. So unfortunately I don’t think either of us could make a comparison. All the folks I know who’ve heard the 829B Special loved it. I can also tell you that Finale are local (in Canada) and offer excellent support. And if you buy direct from them you’d also save substantially vs the MSRP.